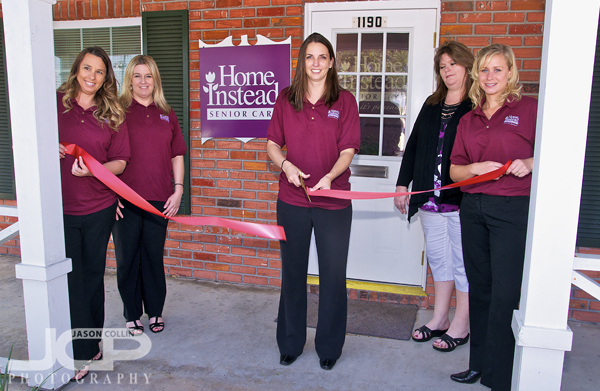 Ribbon Cutting Ceremony for an event at Home Instead Senior Care St. PetersburgThere is a certain timing to photographing a ribbon cutting event that I have learned from experience. Here is my methodology: first, get everyone's attention and say look here (at your lens). Take that photo with the scissors raised to the ribbon as a just in case shot. Then say, "ok, cut!" Wait half a second, then shoot away and you can capture the ribbon in free fall as seen above, which is my preferred shot, rather than just everyone standing behind an uncut ribbon. Waiting half a second allows time for the ribbon to fall, and just in case the person has trouble with the big, ceremonial scissors which tend not to work that well. No troubles cutting at Home Instead Senior Care of St. Petersburg this morning though! 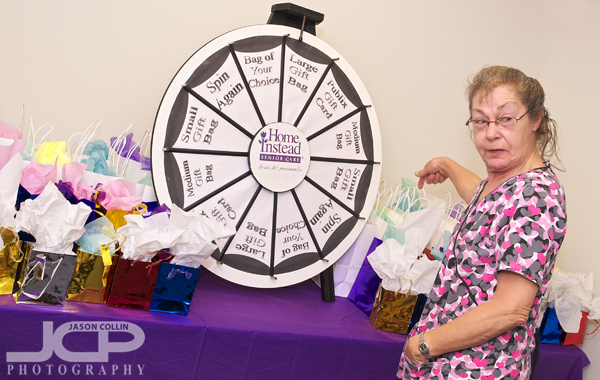 St. Petersburg event photography - Nikon D300 Tamron 17-50mm f/8 ISO 400 1/100th SB-800 Speedlight on hotshoeOne corner of Home Instead Senior Care felt like the Price Is Right with its spinning prize wheel. Someone working there has good crafts skills! The woman above won the largest prize available. I heard (very) faint rumors of a car being a prize, but since it was not a Ferrari 458 Italia, I had no interest in plying my luck. 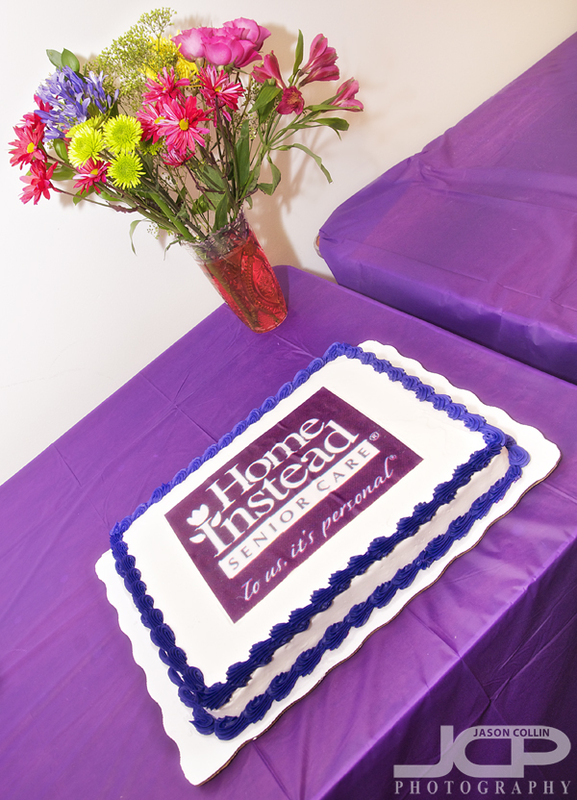 Home Instead Senior Care of St. Petersburg ribbon cutting ceremony cakeAlas, I was not on site long enough for cake cutting time. Though this was a win for my sugar intake for the day, it was a great loss to the large portion of my mind that is ever searching for the next piece of cake, or pie, or pastry, or donut, or . . .